Impire tells about new demon lord! The ancient demon Baal Abaddon was foolishly released by wizard who thought he could keep it under control for his own needs. But the evil managed to escape and now he wants revenge and has already started to rebuild his empire. Impire - real time strategy game, very similar to Dungeon Keeper and Overlord. We will play the role of Baal Abaddon conquer the realm of people with all available methods. 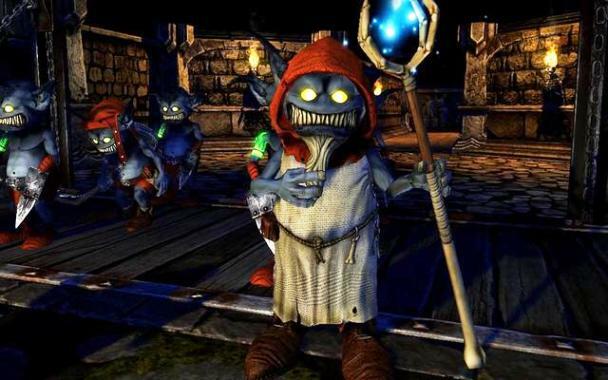 The game will be the possibility of laying of underground rooms and buildings for their own use, and the army of imps, and later the other residents of the dungeon can be sent to the extraction of resources, and in raids on villages. Paradox Interactive also promises to implement a co-op mode for up to 4 people, where it is to survive against waves of the undead (but where's the logic in that?). Impire scheduled for release the first quarter of this year, but the exact date of the developers, alas, still not announced.